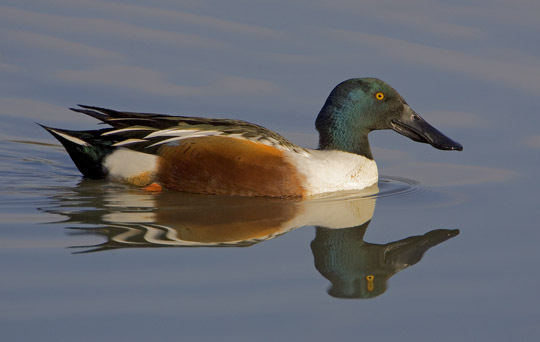 Most of these northern shovelers -- a somewhat grotesque-looking duck that (in males) shows bright colors -- were photographed at a small lake at the Palo Alto Baylands, California. 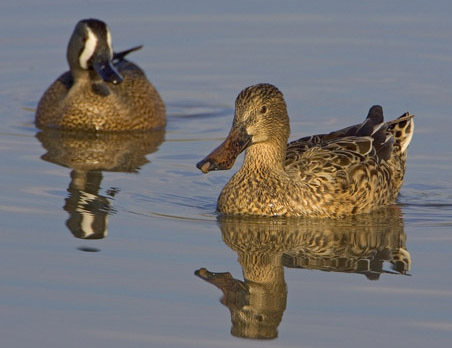 The female (right) in the bottom image is swimming with a male blue-winged teal; the bird below at right is a alternate-plumaged male, and a female is shown below at left (swimming on a pond reflecting dawn light on dry hills near Riverside, California. 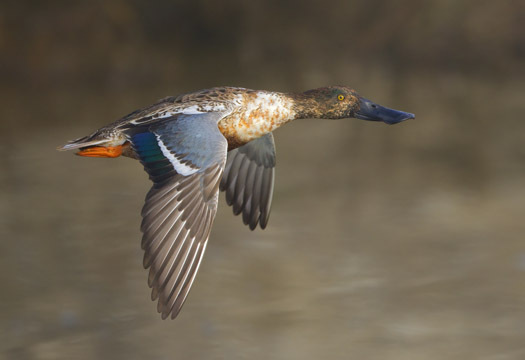 The flying birds (all adult males) were photographed at Newport Back Bay in coastal southern California, and in Palo Alto. 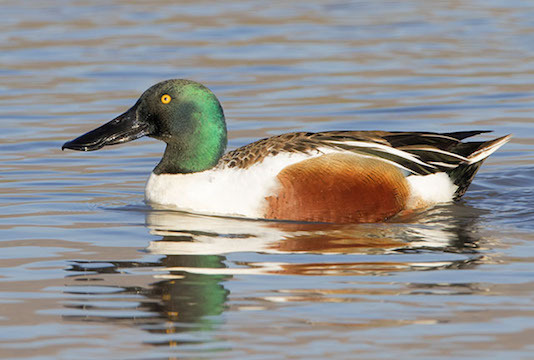 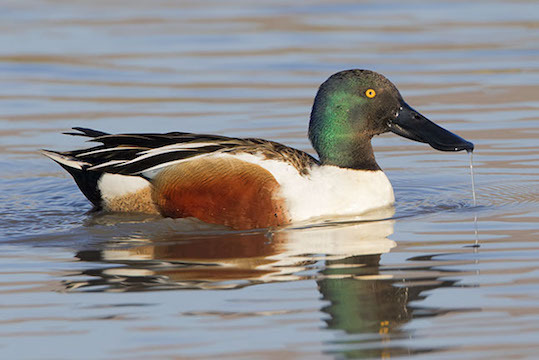 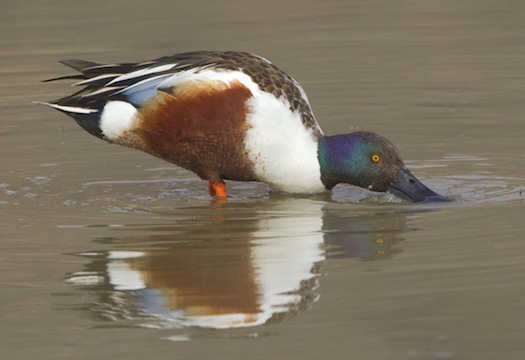 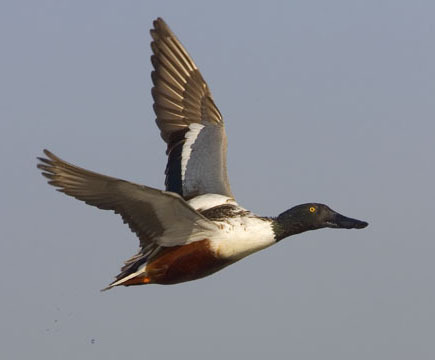 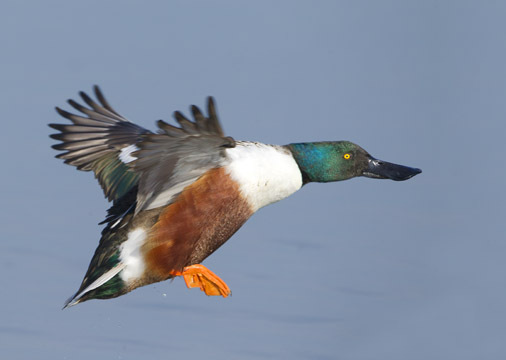 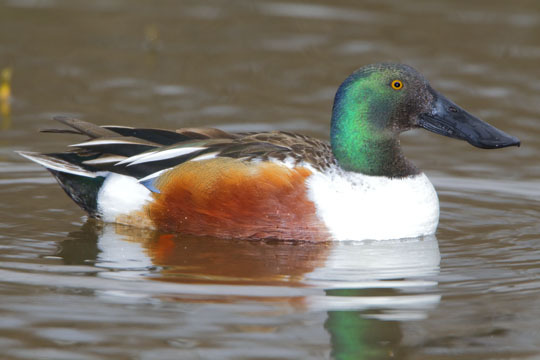 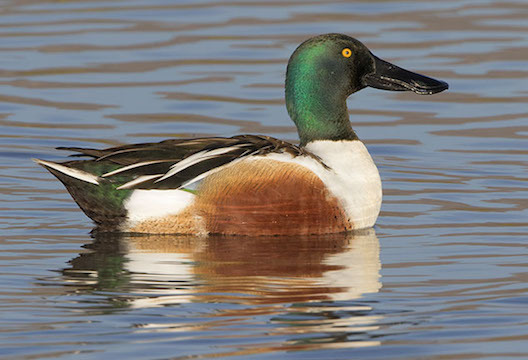 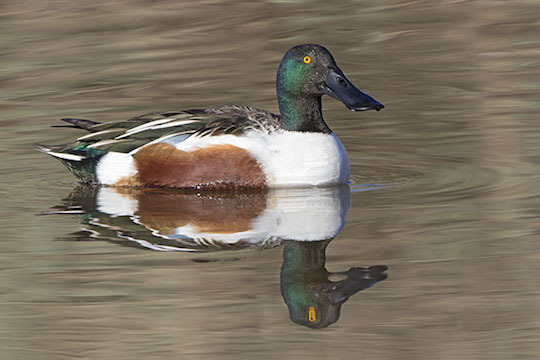 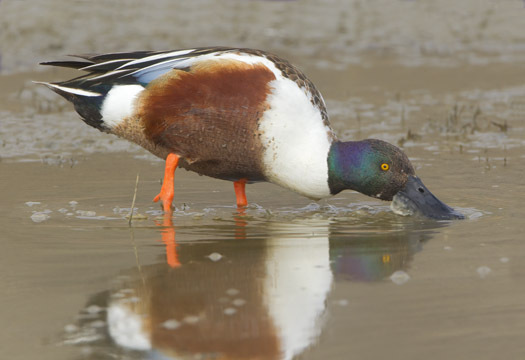 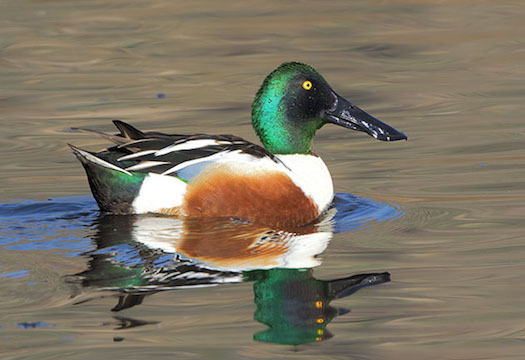 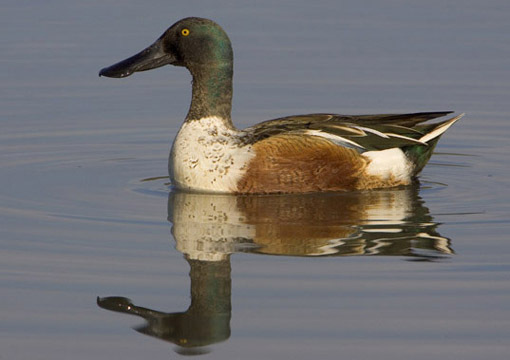 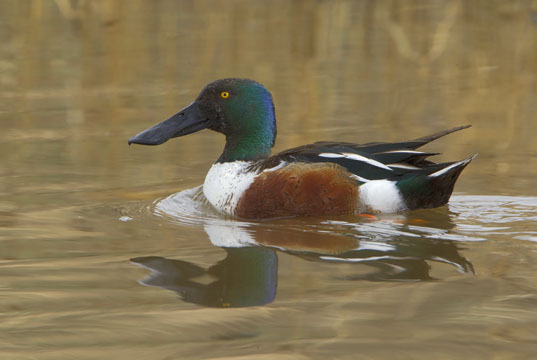 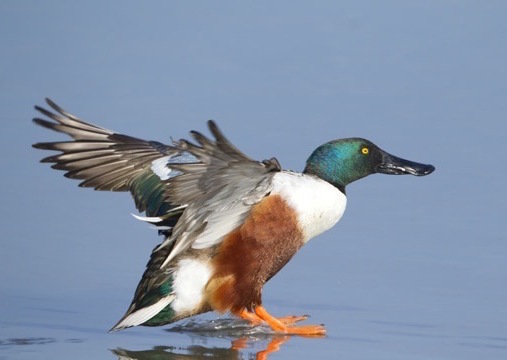 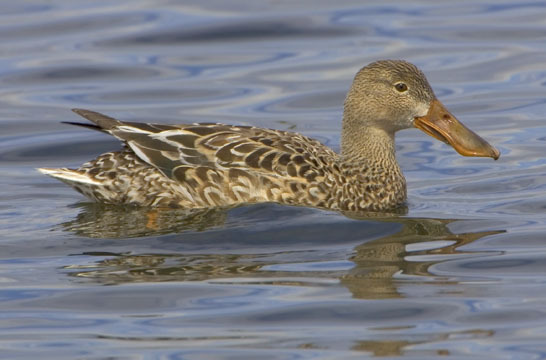 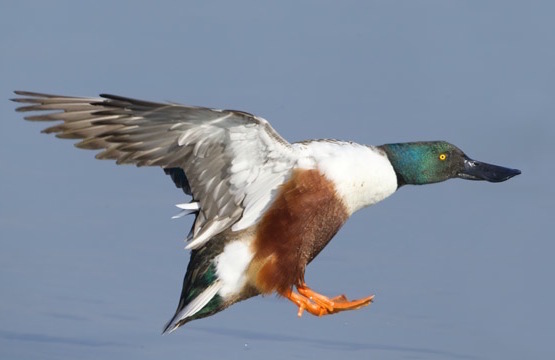 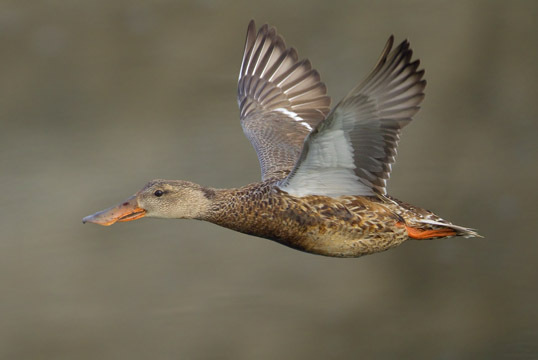 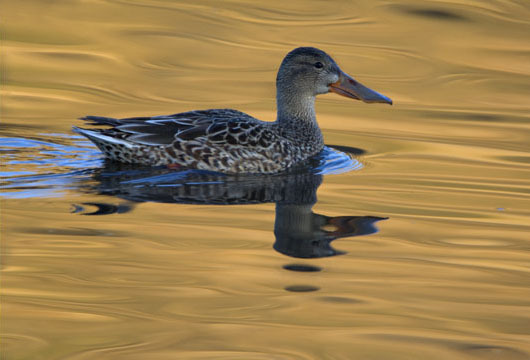 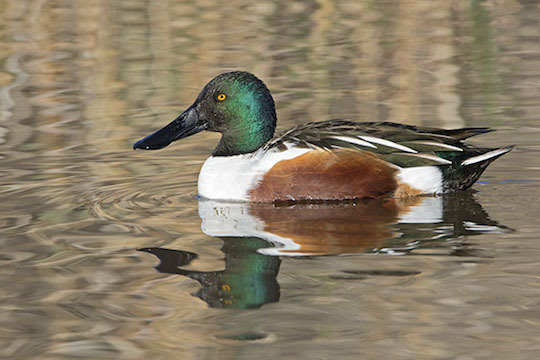 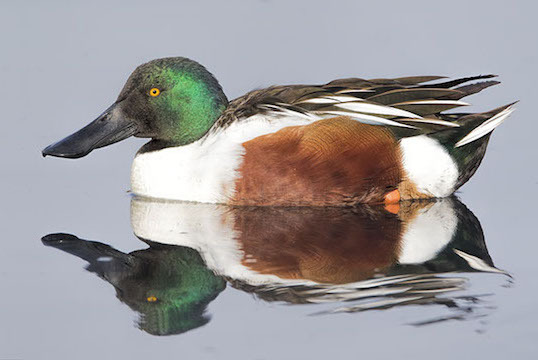 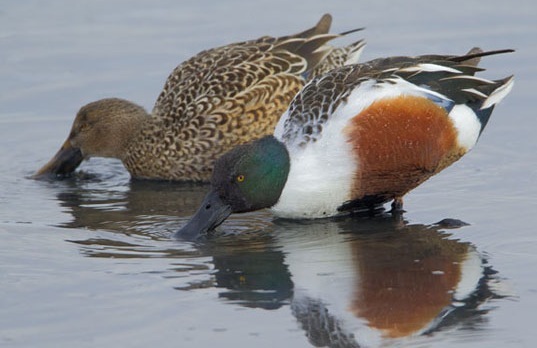 Many shovelers spend the winter in California; most migrate elsewhere to breed. 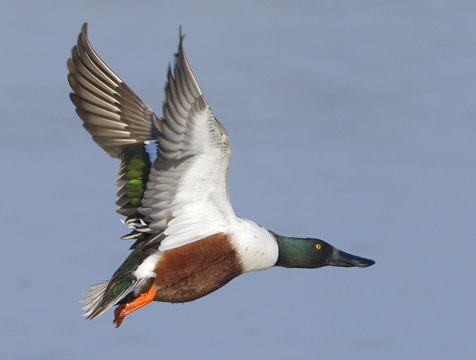 More pictures of flying males are here.